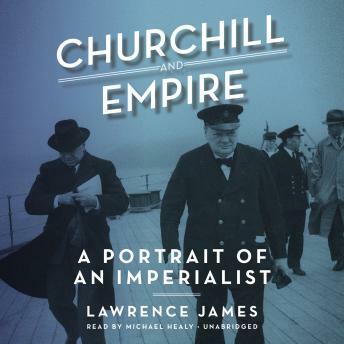 One of our finest narrative historians, Lawrence James has written an illuminating, genuinely new biography of Winston Churchill that focuses solely on his contradictory relationship with the British Empire. As a young army officer in the late nineteenth century serving in conflicts in India, South Africa, and the Sudan, his attitude toward the Empire was the Victorian paternalistic approach—at once responsible and superior. Conscious even then of his political career ahead, Churchill found himself reluctantly supporting British atrocities and held what many would regard today as prejudiced views, in that he felt some nationalities were superior to others; his (some might say obsequious) relationship with America reflected that view. This outmoded attitude was one of the reasons the British voters rejected him after a Second World War in which he had led the country brilliantly. His attitude remained decidedly old-fashioned in a world that was shaping up very differently. This groundbreaking volume reveals the many facets of Churchill’s personality: a visionary leader with a truly Victorian attitude toward the British Empire.